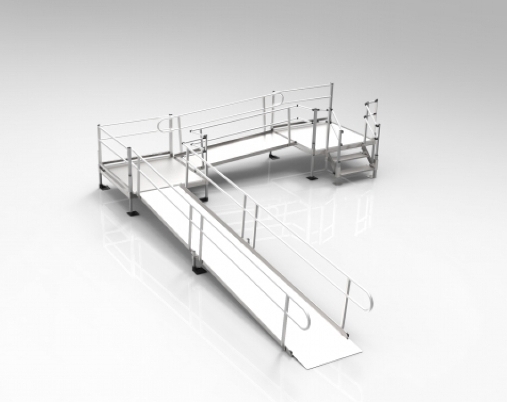 Pathway Modular Access System's, by EZ-Access, is the perfect accessibility option for residential settings when you’re looking for something sturdier and more permanent than a portable ramp. Pathway Modular Access System's, by EZ-Access, is the perfect accessibility option for residential settings when you’re looking for something sturdier and more permanent than a portable ramp. Consists of ramps, platforms, and stairs, which may be combined and configured in a variety of ways to provide a customized fit to your home. Call Us today for a custom quote.